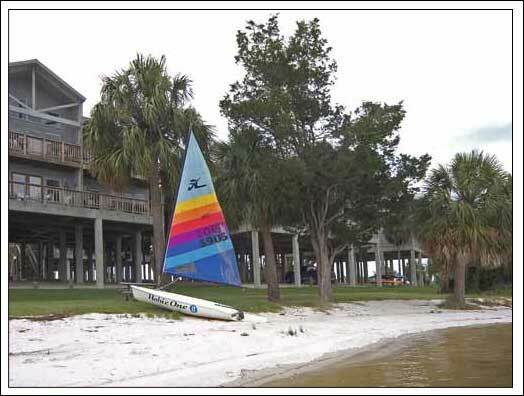 Margarita Villa is a three and one-half bedrooms vacation condo with three and one-half baths and an incredible, unobstructed view of the Gulf of Mexico. 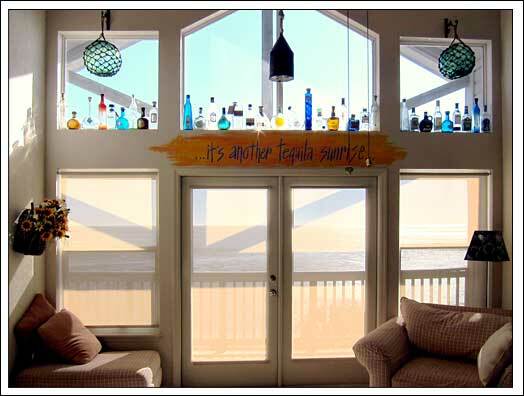 Custom-designed to accommodate large family gatherings with children, Margarita Villa offers a unique choice for vacationers. 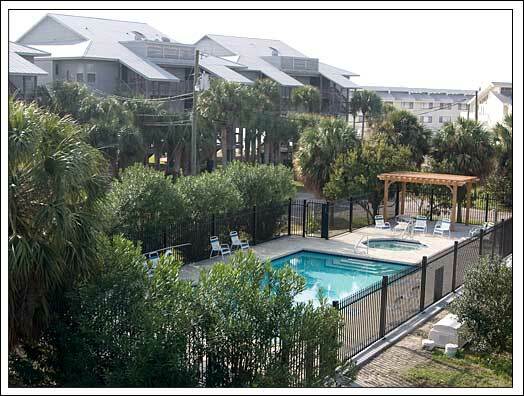 With the amenities offered by Old Fenimore Mill: heated swimming pool, fishing dock, jacuzzi, and small sandy beach for playing in the water, Margarita Villa is your best choice for family vacations in Cedar Key Florida! If you would like to see how the various bedrooms relate to one another - view our floorplan and photos page. 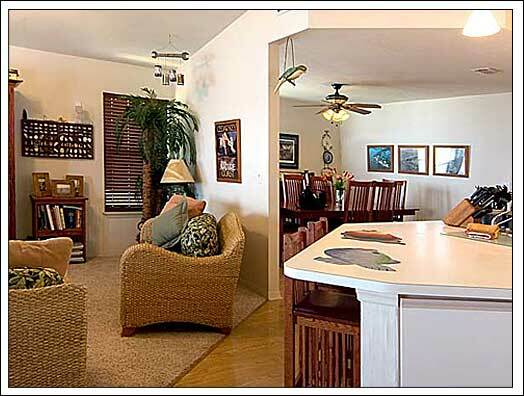 Margarita Villa's Great Room features an open floorplan which is family friendly. Cooking can be done while still having a view of children, friends, the TV, and best of all the view out the windows! 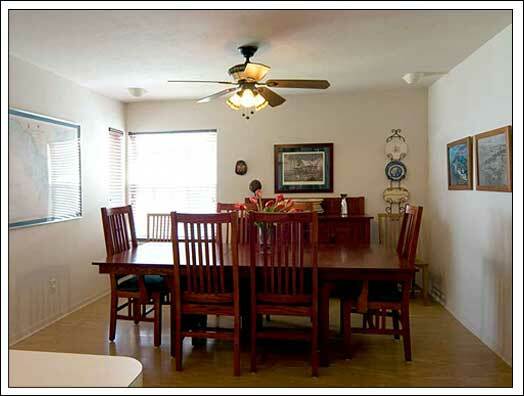 The formal dining room offers a buffet and seats 10. 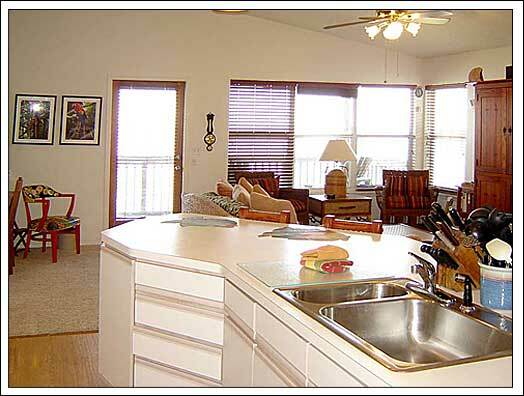 There are 5 bar stools at the kitchen island for overflow seating or snacks. The living area seating includes a sofa, love seat, and two side chairs. A desk with chair and Internet hookup is provided for those who have to keep in touch with the world. New in 2014 - U-verse provides high speed Internet access and digital content streaming to the new Smart TV. 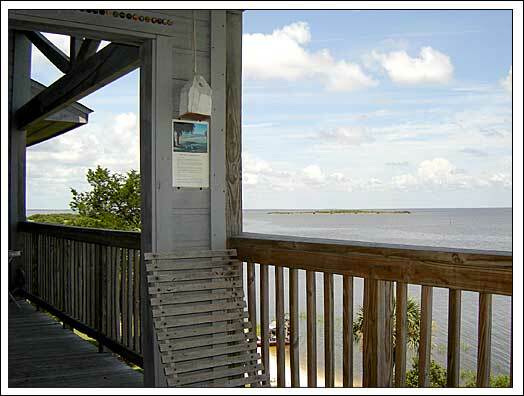 Margarita Villa's balcony offers a spectacular view of the open Gulf of Mexico. 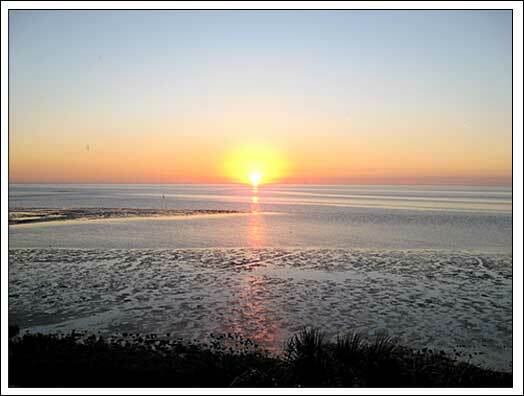 The condo faces east and offers spectacular sunrises. 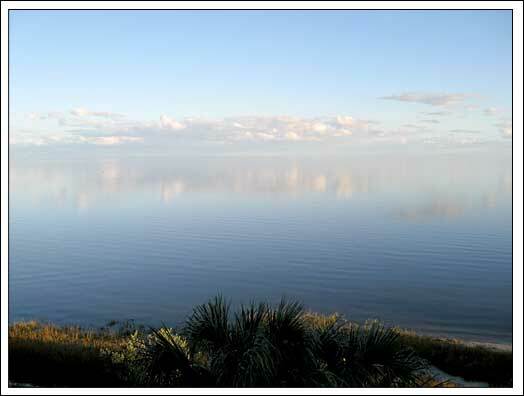 The colors of sunset are reflected in the water every evening. Best of all, there's a never-ending show of birds, boaters, and dolphins going by. 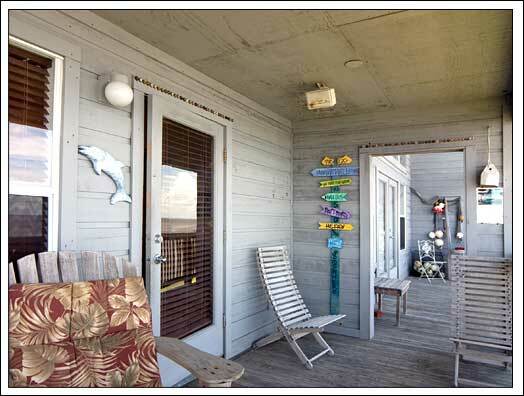 Furniture: New deck furniture including table and four chairs for dining, Adirondack chairs for gazing and relaxing. 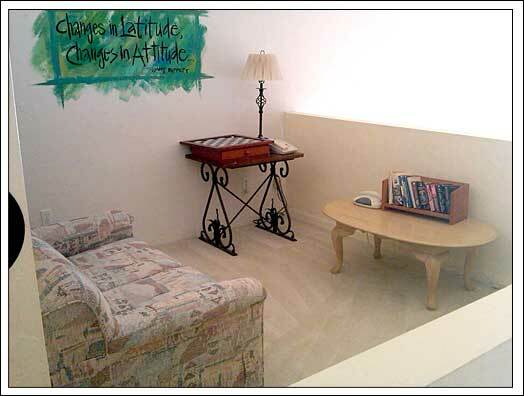 You'll love our three bedrooms - there's plenty of room to accommodate everyone. The Master Bedroom is actually a small suite with a King bed in the main room connected to the balcony via French doors. Contained within the suite is the master bath with a two person jacuzzi tub, a double sink, a dressing room and crib area. 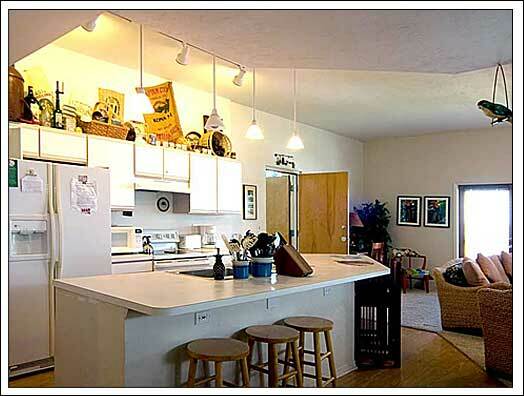 A mini-kitchen with sink, microwave, and small fridge accommodate the serving of late night snacks. 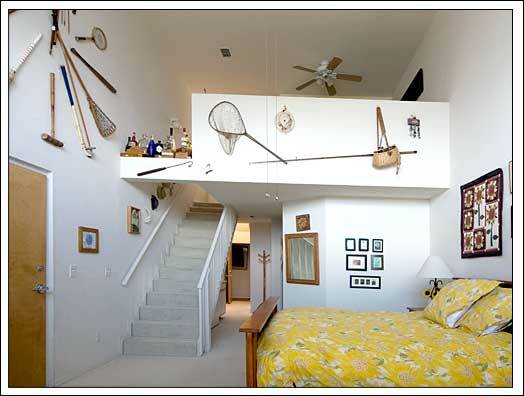 The loft above the master provides a half bath with a pull-out single bed. 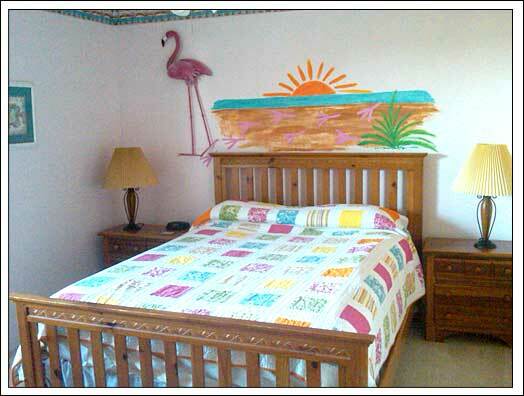 Our Pink Flip Flop bedroom has a queen bed with ensuite shower bath. 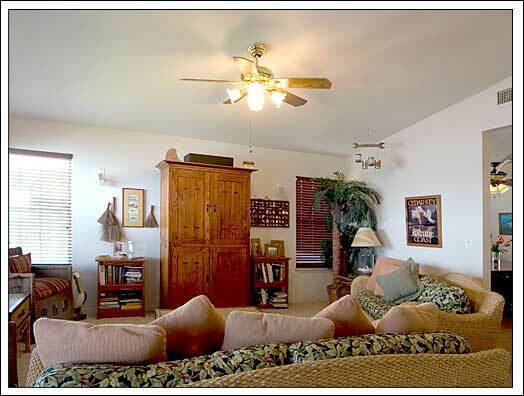 Both the Master and Pink Flip flop bedrooms have easy access to the laundry. 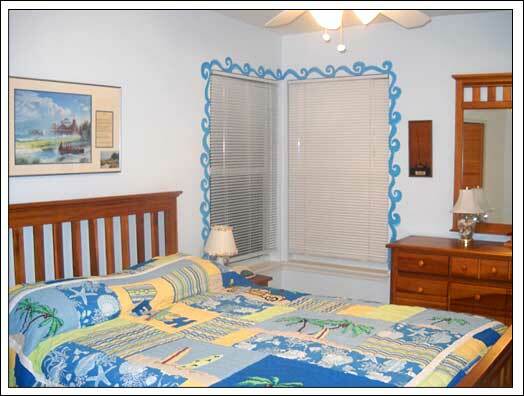 The Blue Bayou bedroom has a queen bed and access to a full bath with double sink off the hallway. 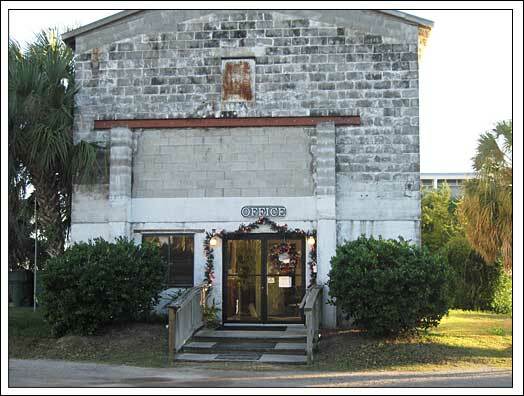 Fenimore Mill is located at the end of a dead end street and offers guests plenty of shaded parking for vehicles under the building and for boats and trailers in the common area. 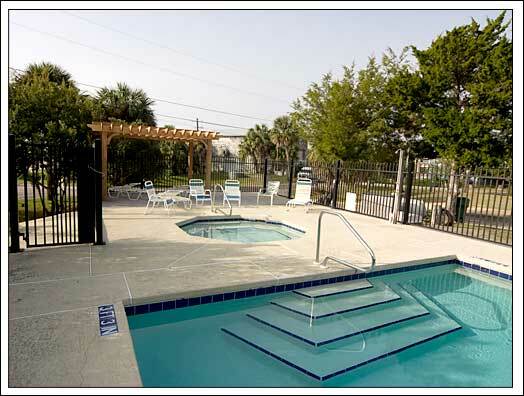 The heated swimming pool is great for both exercise and lounging around. A hot tub accommodating four (or more if you're cozy) is available to enjoy on cool nights. 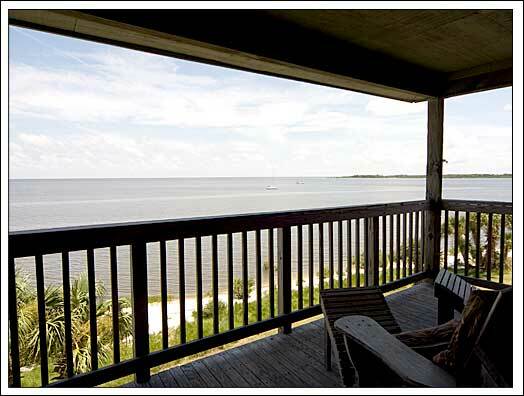 A small sandy beach on the Gulf is perfect for wading, playing in the water, or lying in the sun. 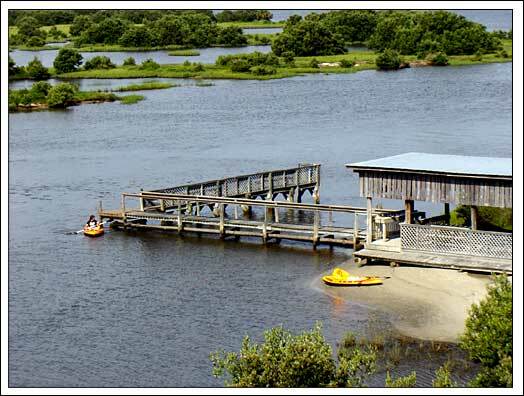 A fishing dock is also availble for guest use - a great place especially for children to fish (with adult supervision!). 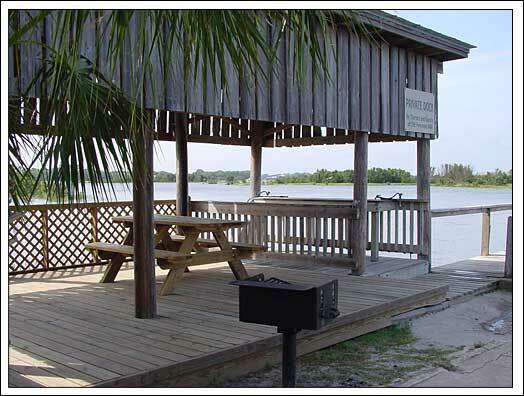 There's a freshwater fish cleaning station with picnic table and grill awaiting your hot dogs! 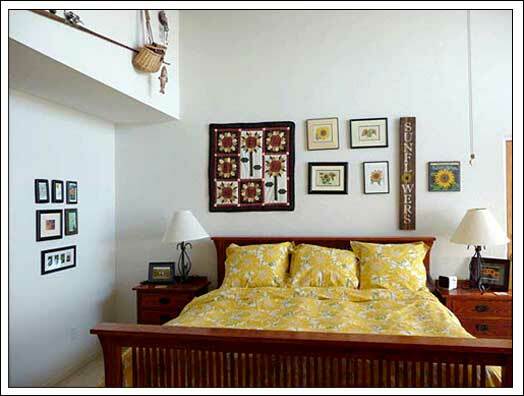 If you need more space, Margarita Villa can be combined with our neighbor's condo: Aqua Vista Condo. 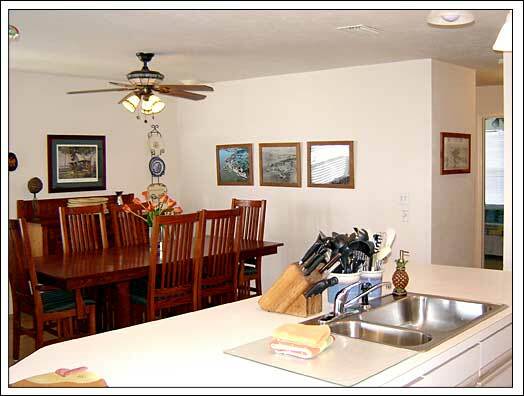 Our units are adjoining and together can offer you a two kitchen, two living room, five bedroom, five and one half bath rental! Let us know when you email or call that you're interested in more space! 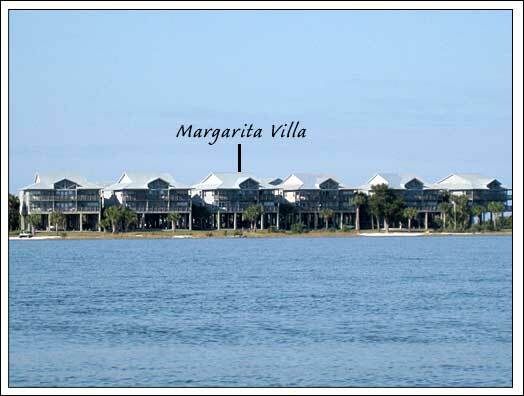 Margarita Villa is a 3 bedroom vacation condo in Old Fenimore Mill in Cedar Key, Florida. 800-767-8354 or email us!